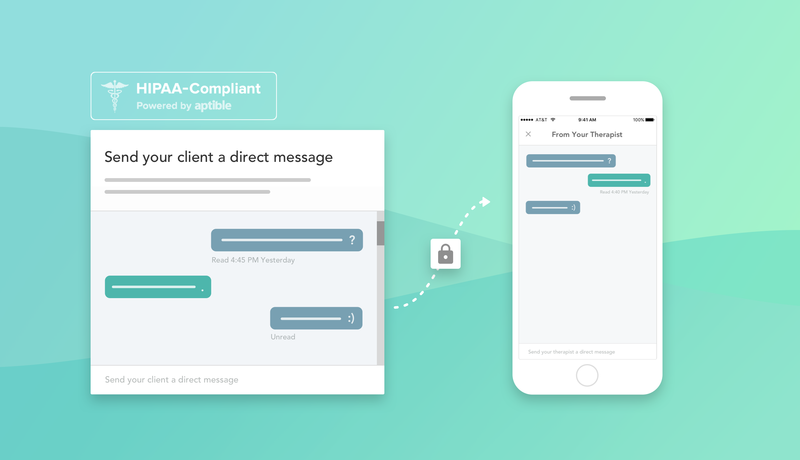 Therachat is a fully HIPAA compliant online platform for mental health specialists & their clients, to send homework and messages connect in between sessions. Clients can finish their homework and reply to messages on a mobile app that sends them reminders. Send unlimited direct messages to your clients in a HIPAA-compliant way. Upload and send any document to your clients through our accessible Therapist platform. Your clients will immediately receive a notification you’ve sent them something. Therachat comes with a library of some premade activities, optimized for the mobile experience of your clients. We created a short, unique version of emotion tracking, give insights to clients about their open journaling entries, offer other journaling activities like gratitude journaling and many more. Learn more about Therachat on our website & try it out for free with our 14 day free trial (no credit card required).